Live Sports is a Google Chrome extension that lets you watch live sports like Football, Cricket, Volleyball, Basketball etc. completely free, right there on your Chrome browser. It lets you know the live score also. 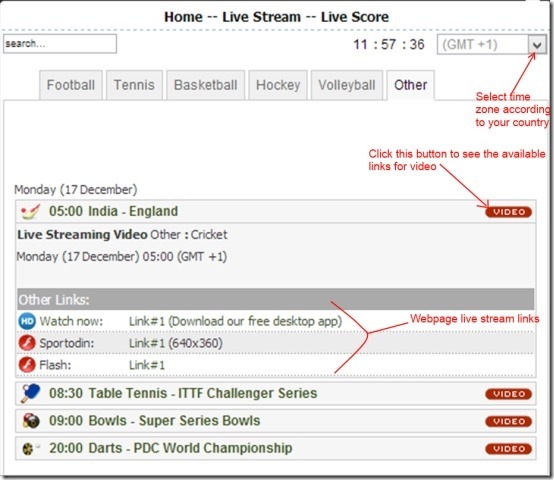 It provides you a web link for live streaming of each sport along with the sponsored channel for a particular match. 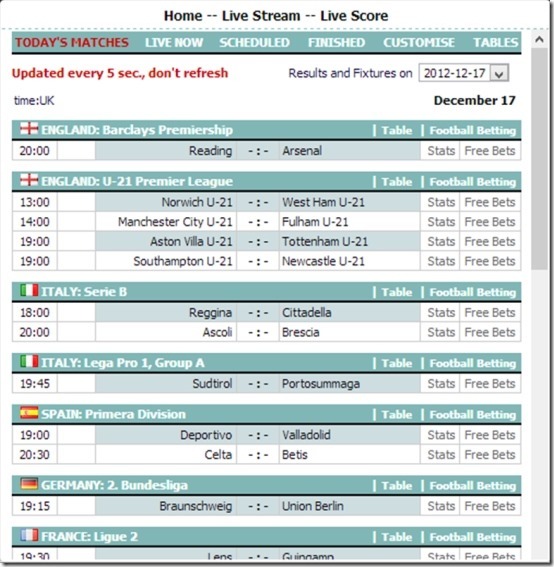 Live Sports was previously named as Chrome Live Football. Now, its name is Live Sports and it has added other sports also. This Live Sports extension for Google Chrome maintains different sports into a separate section so that you can see the details of each sport easily and separately. Each section gives you separate links for live streaming. A list is also available for scheduled matches so that you will be able to see which matches are going to be held for present or future date along with the time. Good thing about Live Sports is that you don’t need to refresh it manually to see the updated list for matches. It’s automatically updated in every 5 seconds. 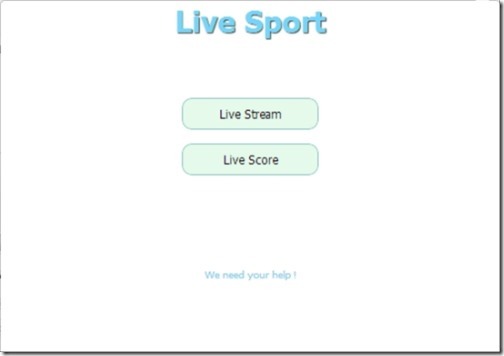 Live Streaming of Sports: This feature of Live Sports allows you to see the live matches in a continuous flow. You will get the information on scheduled matches, so that you can manage your time and free yourself from all the busy schedules in order to watch a particular match without any disturbance. Watch Live Sports Absolutely Free: You don’t need to pay anything to watch live sports. All you need is Live Sports extension added to your Google Chrome and a good internet connection. Website Link for Live Streaming of Each Sport: This extension provides you a separate web page link for each sport so that you could see your desired sport matches comfortably. You could see different sports in different tabs as each web page link opens in a new tab for separate sport. Separate Section for Individual Sport: It is also one of the good feature of Live Sports, as it provides a complete separate section for each sport. Scheduled matches for every individual sport: With this feature, you will be able to know about the day, date, and timings of the current and future matches. First add Live Sports to your Google Chrome. You can download this Live Sports from the Chrome Webstore. 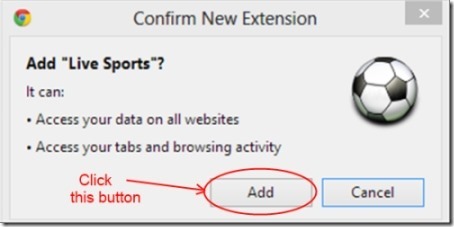 Hit the Add to Chrome button available, then click on the Add button available in the installation confirmation pop-up. After clicking on this button, Live Score will be added to your Google Chrome. You can see the football icon of this Live Sports extension at the top right corner of your Google Chrome. Once you have added this tool, then you are ready to watch live sports on your web browser. 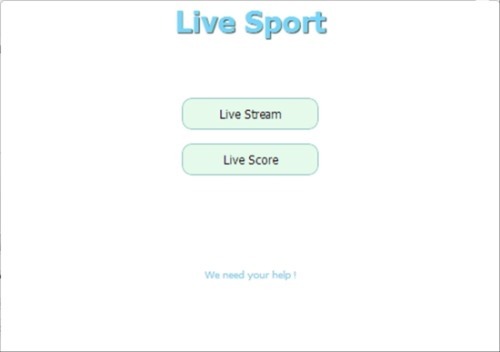 Click on this icon to start using Live Sports. 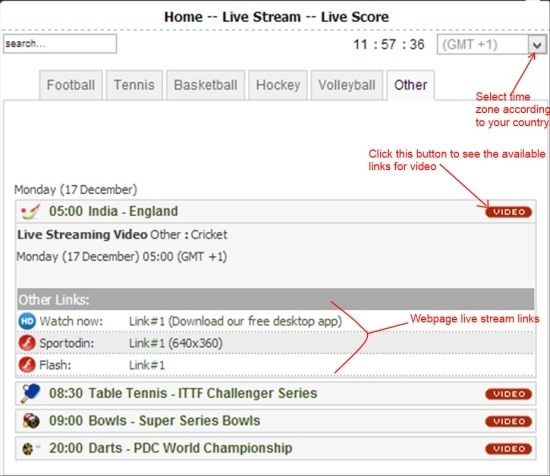 This Live Sports extension contains two parts such as: Live Stream and Live Score. You can either select the Live Score if you are a football lover as it shows the detailed information about the football game such as: Matches that are going to be played at the present date or future date. This column updates every 5 seconds so there is no need to refresh it automatically. Along with this, you can also see the scheduled matches list in SCHEDULED tab. You can also select your desired matches to be displayed in the SCHEDULED tab from the CUSTOMISE tab. There are other tabs also available like: LIVE NOW in which you could see the live game, and TABLES which helps you to have a look on each team’s score card. On the other hand, the Live Stream part of this Live Sports gives you distinguished section of different sports such as: Football, Basketball, Volleyball, Cricket, Table Tennis etc. Click on the section of your choice so that you get the details about it. You can see the present timing, day, date, and video links for the matches of your desired sport. 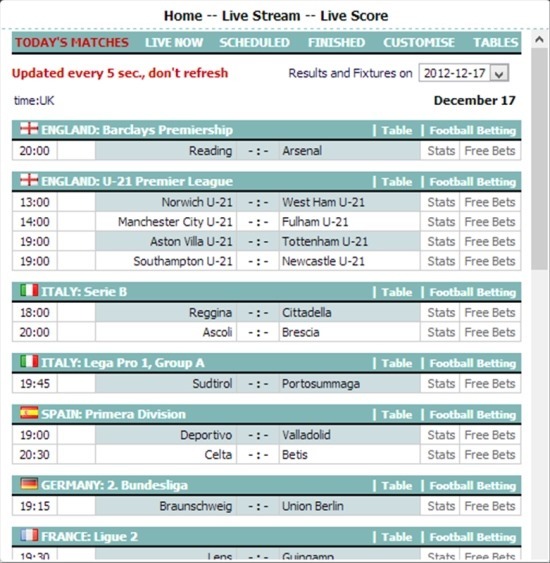 There is time zone also available at the top right corner of this Live Sports in GMT format, you can adjust the time according to your region. Just select your favorite sport, see the timings then click on the red video button which is available at the right hand side of a match in order to see the available video links to see the live stream of that particular match. Select the video link, this will direct you to the website hosting that particular match. In this way you can watch your desired match right there on your Chrome. Live Sports is a useful Chrome extension that allows you to watch live sports without interruption and with a level of comfort. It’s really nice to have Live Sports in your Google Chrome if you are a sports lover. Download Live Sports from here. You may also read our post on 365Scores Notifier.